Jaaxy keyword research tool review. Learn why it's simply amazing! Jaaxy Lite is free when you sign up for a Wealthy Affiliate account. The only con I’ve experienced while using Jaaxy Lite is it can be a little slow when I want to see what the QSR is for multiple keywords at the same time. This, most likely, won’t be an issue for most people. I just happen to be quite impatient. Consider this: over three billion people are now online, with 500 million new keyword searches every day in Google, and that’s not taking into account Bing and Yahoo. Does that give you an idea of how essential keywords are in terms of ranking. 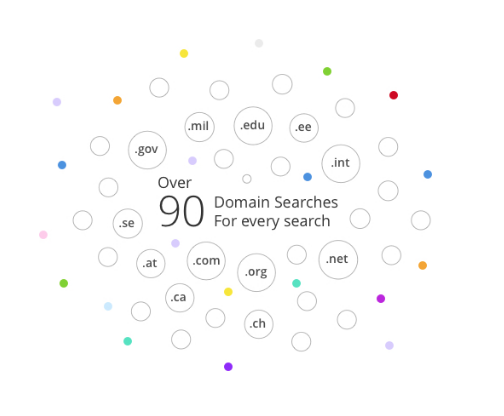 Jaaxy gives you a peek into what these 3 billion people are searching for. Use this to your advantage. Google, Bing, and Yahoo are the three major search engines, owning 99 percent of all search traffic online. Data from all three are pulled directly within Jaaxy, giving you accurate keyword data. All content creators understand the importance of using targeted keywords in their written articles and posts. If you’re not using a tool to identify these high-quality keywords, you’re missing out on an opportunity to increase your conversion rates. A keyword tool really is nonnegotiable if your goal is to have a lucrative online business. If you’re a writer, target your keyword to maximize your bottom line. Affiliate and niche marketers, bloggers, and freelancers take note. This research tool will benefit your business in ways you can’t imagine. Why are high-traffic, low-competition keywords so important? Targeted keywords lead to higher rankings in the search engines, which in turn, drives more traffic to your site. More traffic means more revenue, which is the purpose of your online business. Supercharging your articles with targeted keywords doesn’t take much time, and is well worth the effort you’ll spend in finding them. Jaaxy uses several metrics to determine whether a keyword is considered “Poor,” “Normal,” or “Great.” Of course, the goal is to find GREAT keywords. See below. Ideally, you want to aim for an average search of at least 50, and a QSR under 50. Look at the title I chose for the previous paragraph – “how to find the best keywords for your website.” It meets the criteria of over 50 searches, and a QSR of under 50. I immediately snagged it for my title. Keyword: Begin my choosing a keyword. For instance, you’re writing a post on social media marketing. Your keyword is “how to grow my instagram following.” You enter that in the search bar, and up comes your results. Boom! You’ve got yourself a winner. But what do all these numbers mean? Avg: The average number of searches your keyword receives each month. To reinterate, you want it to be above 50. Keep a close eye on this number. Next, take a look at your QSR. QSR: Standing for quoted search results, this is the number of competing websites that are ranked in Google for your particular keyword. You want this number to be under 50. KQI: This is your keyword quality indicator. Green is great, yellow is ok, and red is poor. Always go for the green. The average numbers of searches, and the QSR are the two most important numbers you’ll want to track. Traffic: This tells you how many visits to your website this keyword will generate if you achieve first-page rankings in the search engines. SEO: This is a score based on traffic and competition. The higher the score (1-100), the more likely you’ll rank for this keyword on the first page of the various search engines. See how fast that was? It won’t be that easy for every search. You’ll need to tweak your keywords until you find a the perfect one. 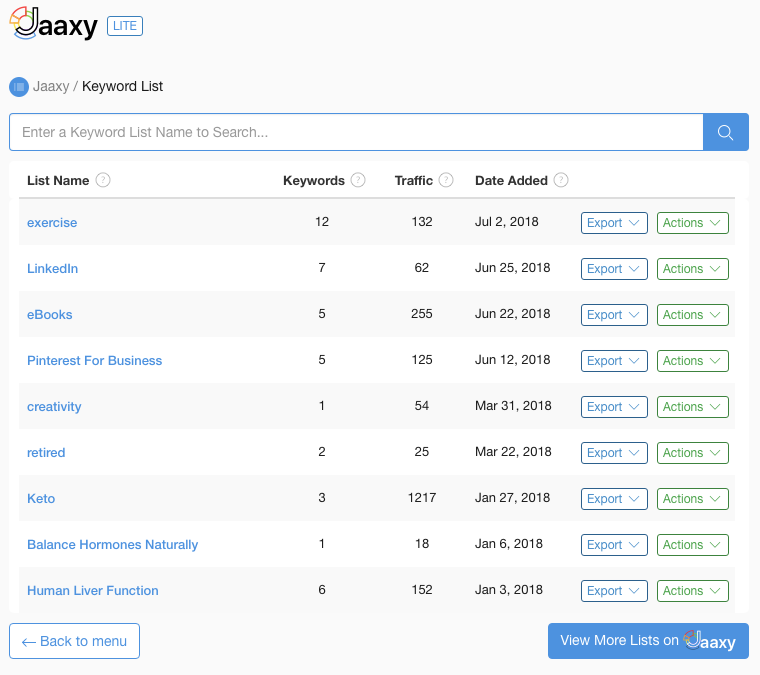 Jaaxy makes it easy to save all your high-performing keywords in designated lists. If you’re writing multiple articles with various keywords, it can get confusing. That’s where keyword lists come in handy You can see my saved lists below. See how on July 2nd of this year, I saved 12 keywords to my “exercise” list? The next time I write a post on an exercise-related topic, I’ll refer to this list to see which keywords are most appropriate for my post. You can export your lists, edit them, or delete them altogether under the “Actions” tab. Jaaxy will also save your search history. You can access this under the “Search History” tab. 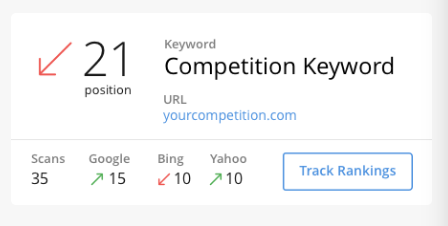 You’ll want to utilize this feature if you didn’t save your keywords to lists, but you want to retrieve a great low-competition keyword you found last week. Take a look at the screenshot below. Basically, you type in your keyword and then add a, b, c, and so on, to come up with more targeted keywords. Begin by typing in your keyword phrase. Mine is “how to find a niche.” That’s too broad and I want to narrow it down so I’ll take it one step further by adding the letter “a.” Nothing caught my eye with “a” so I’ll type in my keyword again, only this time, I’ll use the letter “b.” You get the point. Continue this technique until you find a keyword you’re satisfied with, and that meets your criteria. You can see the results I get when I add the letter “b” to my keyword “how to find the perfect niche.” I like “how to find a niche for a blog.” That’s much more targeted, and I’ll now enter that into my keyword search to see how it performs. Look at the results that are generated by adding just that one letter? Can you imagine how many potential keywords you’ll have access to with all the letters of the alphabet? Jaaxy can be very useful when searching for a niche. A niche is a specific audience you are interested in marketing your products and services to. Let’s say you’re considering a niche related to dogs because that is your area of expertise, you love dogs, and you want to market dog collars and leashes. Generate potential niche ideas with Jaaxy. Take a look at all the great keyword possibilities that appeared when I searched for “dog collars and leashes.” You can really narrow down “dog collars and leashes” into specific categories like leather, cool, disney, big, unique, embroidered, and reflective dog collars and leashes. Any one of those would be considered a great keyword phrase. Make that chosen keyword phrase part of your niche. 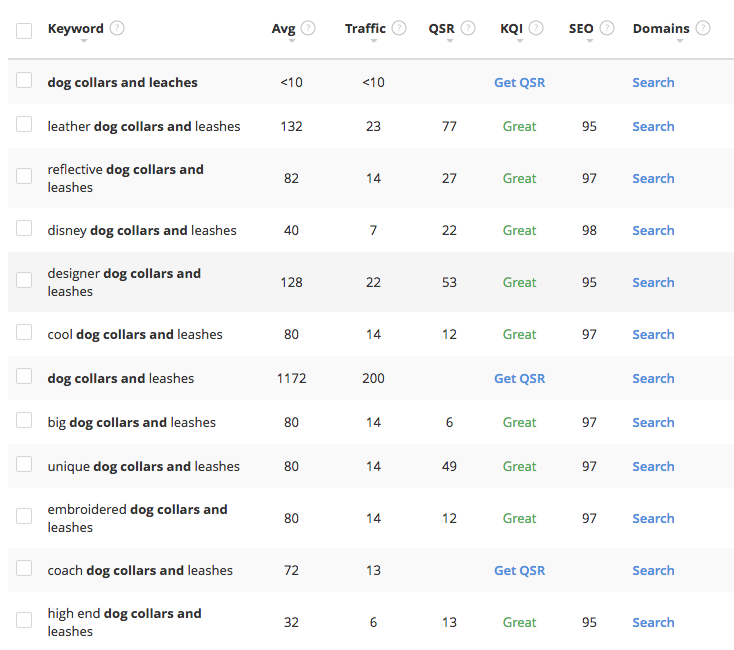 When people ask what your niche is, you could answer by saying: “My target market is dog owners who are looking for designer dog collars and leashes.” See how slick keyword research can be?! The fun doesn’t stop at keyword research, Jaaxy has many additional features besides helping identify low competition keywords people are searching for. 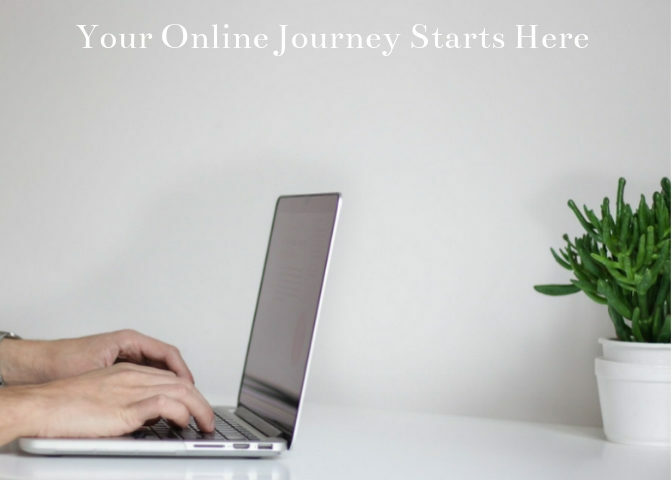 If you are just starting out online, you’ll want to first begin by choosing a domain name for your website. Jaaxy will help you find an amazing name that will be uniquely yours. It’s like having your own little piece of real estate, and you’re the owner. Plug potential domain names into Jaaxy, to see, not only that domain’s availability, but how much traffic it’s generating. You’ll see results for .com, .net, .org, and many more. It’s a fast and powerful way to find a valuable domain name. See the “domain” button to the far right? That will give you the availability of the domains related to your keyword, along with the available extensions. See the screenshot below. Another feature you’ll enjoy is the “Brainstorming” feature within Jaaxy. Keep up on current trends by finding out what’s hot in today’s market. Once you’ve identified a particular topic, your next step would be to search for and find high-traffic, low-competition keywords corresponding to your chosen topic. Next, incorporate them into your content while keeping your readers current on the latest trends and topics. 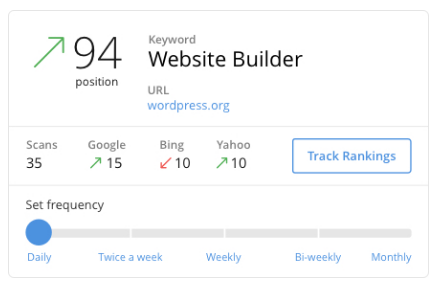 One of my favorite features within the Jaaxy platform is Site Rank. Site Rank shows you where your posts are ranking in the search engines. All you have to do is enter a post URL or keyword, along with your domain name. Press “Search” to see how well your article is ranking. You can see that one of my posts is on the first page of Google. Can you imagine how I felt when I saw that! You can also track your website rankings within Site Rank, and choose how often you want them tracked. Jaaxy will notify you when your rankings go up or down. This data will provide you with information you can then apply to your search engine optimization. Site Rank can also provide you with useful information if you’re curious about how your competitors websites are performing in terms of ranking. Start by typing in a keyword, and the URL of your competition. If you’re looking for niche-related affiliate opportunities, give the Affiliate Program search function a whirl. It has a database of more than 15,000 affiliate programs, including Amazon, LinkShare, and ClickBank. 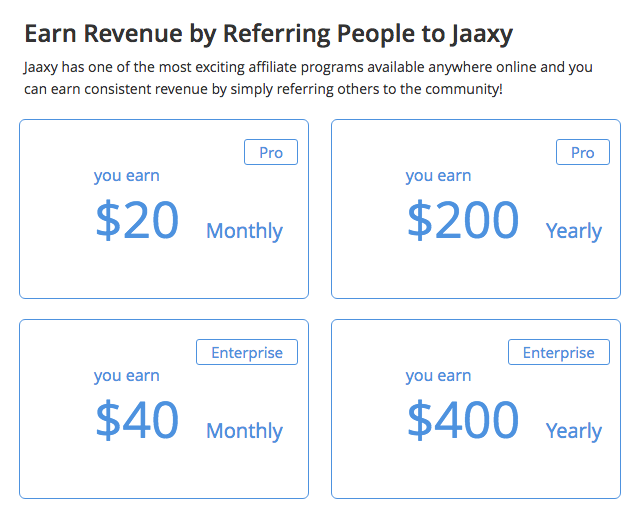 Jaaxy has an affiliate program where you can earn money by referring others to Jaaxy. You’ll find your specific affiliate link in the “Affiliate Program” tab. Here’s a breakdown of what the earning potential. Many keyword tools on the market today are quite clunky, and require you to decode the data they deliver. This can be tedious and time-consuming, and that’s if the data is even meaningful?Jaaxy will save you a lot of hassle, and what’s really great, it’s super easy to learn. As stated above, Jaaxy gives results from the three major search engines, Google, Bing, and Yahoo, and won’t need to install anything. It also doesn’t require multiple searches. Accuracy and efficiency are key, especially in our high-paced society, and Jaaxy delivers on both accounts. 1. Jaaxy Starter: This starter version is completely free, with no credit card required. It’s great for beginners, and will give you a feel for how it works. This time-saving tool has many functions, but is not as fast as the Pro or Enterprise versions. 2. Jaaxy Lite: This is the option I use, and it’s free when you join Wealthy Affiliate Premium. It’s powerful enough to meet my keyword research needs, and comes with many useful features. 3. Jaaxy Pro: Check out what Jaaxy Pro includes in the diagram below. With both Pro and Enterprise, you can choose to pay monthly or save money by paying annually. 4. Jaaxy Enterprise: This option is for power users, and delivers data very quickly. Check out its features below. Jaaxy will definitely save you time, and just one keyword has the ability to generate thousands of dollars per month. Depending on what stage you’re at in your business, a paid membership could certainly be worth the extra money you’ll spend each month to use Jaaxy. You’re paying for valuable information, and you can’t put a premium on your time. Turn your keywords into profits! I love using Jaaxy. It’s an effective and efficient keyword research tool that brings results. Deliver keyword-rich content to your audience, while increasing your rankings in Google. All you need is a computer, laptop, or mobile device, along with an internet connection, to take advantage of all Jaaxy has to offer. Choose an option that fits your needs. Check it out here! 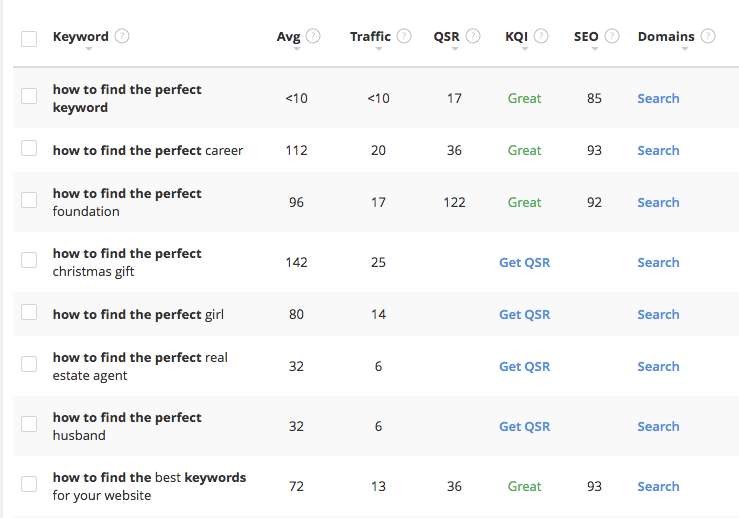 As you can see, Jaaxy is much more than just a keyword research tool. The most successful entrepreneurs in the world choose Jaaxy as their go-to-tool for creating keyword-rich content. In fact, Jaaxy is the keyword tool used by the online university Wealthy Affiliate! You can read my review of Wealthy Affiliate here to learn more about this community of affiliate marketers and entrepreneurs. If I haven’t convince you how much Jaaxy can benefit your business, just google “best keyword research tools” in Google, and see if Jaaxy isn’t right there on the first page. I hope my Jaaxy review has given you enough of an overview that you’ll want to check it out. Give Jaaxy a try below and see if it’s something you enjoy using. Do you use a keyword research tool? In what ways has it helped your business? Please take the time to leave a comment or question below. Wow, really thorough research article. Thank you so much, you are a great how-to resource. I love Jaaxy! This has been my favorite keyword tool since I found it. It is so easy to use and gives me great keyword ideas when I am brainstorming. How would you compare it with Googles Keyword tool (if you have ever tried it)? I am finding that Google wants people to buy ads to be able to use it, so I was never able to try it. I would think Jaaxy is superior, but a tool from Google…just wondering. I love Jaaxy too. I’ve only briefly used Google’s keyword tool so can’t comment to its effectiveness. I always just use Jaaxy because it’s user-friendly and works seamlessly with Site Content. Thanks for reading and commenting. I like using the Jaaxy Lite. I’ve been able to find great longtail keywords that have gotten my website well-ranked for a lot of my pages. I’m curious if you think it’s worth it to pay for the premium version. What important features do you get in it that you don’t get with the lite…just off the top of your head? I use Jaaxy Lite as well and have found so many keywords that I use in my blog posts. This free version meets my needs so I’m to continue to use it without upgrading. I’ve heard that the premium versions of Jaaxy are faster. This looks like something that would really help my site. I am trying to understand the alphabet soup feature of Jaaxya little better. I know I put in the keyword and then start adding various letters from the alphabet to come up with original keywords that I couldn’t possibly gain on my own. Thanks again for the help and I am going to start the free trial to play around with it a bit. Awesome! You’ll love using Jaaxy and won’t want to blog without it. Jaaxy really is a great tool that I probably spend WAY too much time using. Finding keywords that are right up your alley and also highly searched for is really exciting. Researching keywords and creating lists with Jaaxy is essentially you creating an outline for the topics you’re going to be covering on your website. It’s invaluable for any online entrepreneur. 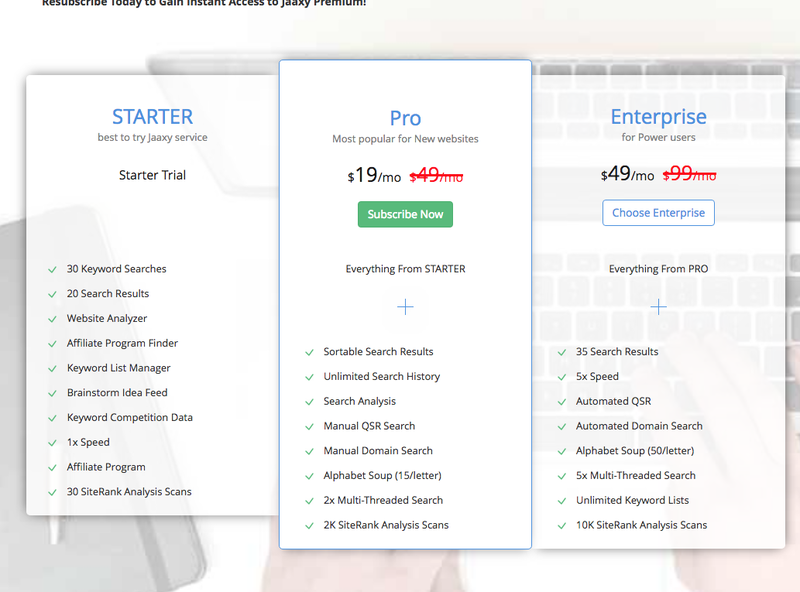 You’re so right, Jaaxy is an indispensable keyword research tool for online entrepreneurs. It makes my life easier! I am new to the affiliate marketing world and Jaaxy looks like a great keyword tool for me to use. I am glad I came across your website before I purchased my first domain name. I had no idea how important keywords were in getting a website to rank in the search engines. I’m going to sign up to Jaaxy right now. Yes, keywords are an important factor in SEO. Check out Jaaxy, you won’t regret it! Thank you for sharing this comprehensive review of Jaaxy. I’m a huge fan of Jaaxy. It’s a complete keyword research tool created by Affiliate Marketers for Affiliate Marketers. Whenever I have a writing block, l use Jaaxy to brainstorm and find my next topic. Further, l can spy on my competitors which gives me a competitive edge on how to outrank them. Another advantage is that you can buy your own domain instantly within Jaaxy or buy domains in bulk for flipping. Give Jaaxy a try, you will love it. I agree Jaaxy is great for brainstorming awesome keywords, and it’s also great for buying domains!